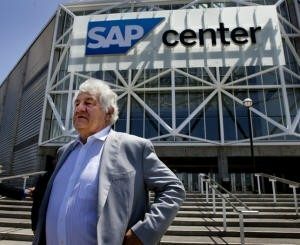 At the San Jose Sharks 25th anniversary gala, team owner Hasso Plattner admitted that “I’m really concerned about the situation”. Is it the Patrick Marleau trade rumors being stoked up again? Is it the never ending set backs in Raffi Torres‘ rehab? Of course not. The situation he’s concerned about is the decline in attendance. Last season saw the decline begin. The Sharks sellout record came to a grinding halt as fans were still stunned by a reverse sweep against the LA Kings to end the 2013-2014 season. 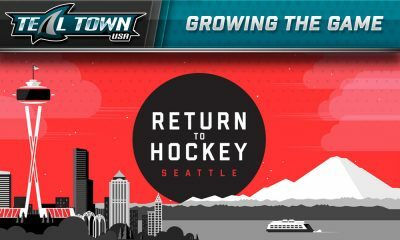 It didn’t help renewal rates when the biggest offseason acquisition was perennial goon and bench warmer future All-Star, John Scott going into the following season and GM Doug Wilson actually saying the word “rebuild”. 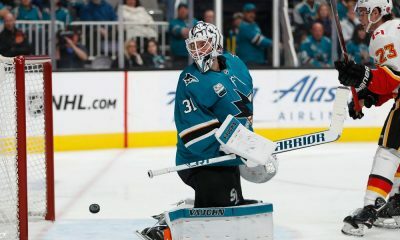 Since that offseason, the San Jose Sharks have made a series of questionable decisions that have not resonated with a frustrated fan base. During this time, the fan base also watched a basketball team a few miles up 880 make sweeping changes that started in the front office which led to a championship shortly thereafter. Realistically, the Sharks cannot lower their prices. It’s quite rare to see the value of anything decline over time unless you purchased a tank of gasoline recently. The other reality is that the Sharks can continue to add all the bells and whistles they want to try to draw fans back, but no matter how much you polish a turd, it’s still a turd. The fact of the matter is that winning is really the best way to lure fans back into the Tank. 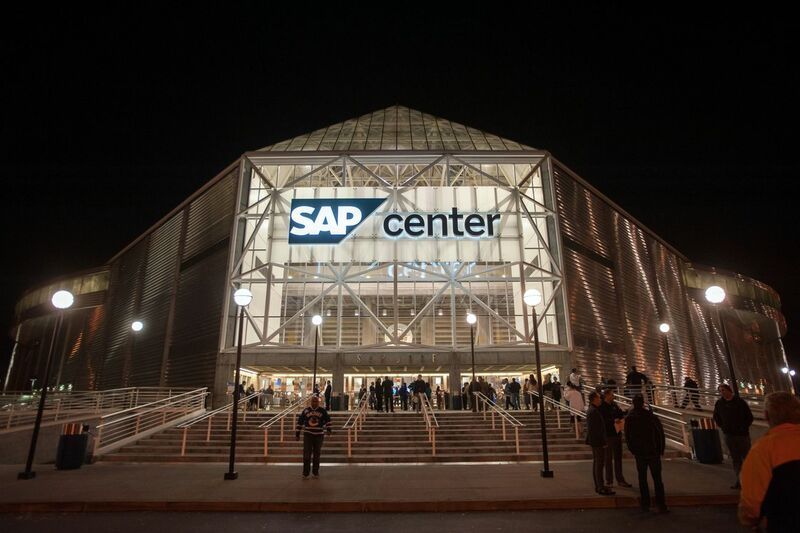 At the Sharks 25th anniversary gala held at SAP Center, team owner Hasso Plattner talked about appealing to new, younger fans. However, most younger fans don’t have the disposable income to spend on season tickets. Plattner talked of promotions, including helping them out with a better ticket price based on age. I can’t imagine long time season ticket holders are happy hearing that nor any fans over the age of 25. As part of their 25th season celebration, there seems to be some sort of giveaway at every game to mark a moment of Sharks history in hopes of drawing fans back. Whether it’s a mini-locker, a t-shirt, a man cave sign, or a set of drink coasters, the Sharks PR department has delivered an obscene amount of goodies for Sharks fans to take home this season. This 25th anniversary season has also seen some new additions to the in-game experience, most recently a live band and a DJ that takes requests via Twitter. There have also been reports about bringing an organist back to the tank. 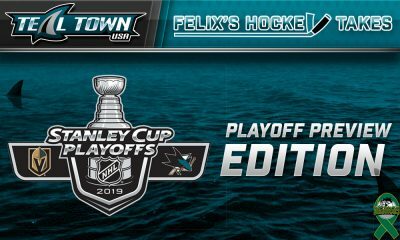 Team teal appears to be running every promotion in their power to entice fans back to the tank. I can’t lie and tell you I haven’t enjoyed some of the goodies the Sharks have handed out at games this season. However, I’ve never in my lifetime as a Sharks fan purchased a ticket because the Sharks were handing out a hat at the door, had a live band playing, or put skimpy outfits on the female members of the ice squad. I’m there for a hockey game. The biggest complaint I hear from season ticket holders is the lack of attention and special treatment. It’s not that they don’t want all the shirts and posters, but that many aren’t included with their season tickets. One instance being that on alumni nights, if a season ticket holder wants one of the alumni shirts, they have to buy a second special ticket rather than having it included with their STH package. And I wholeheartedly agree. I also can’t imagine it feels good to be a season ticket holder when the person next to them got their ticket on StubHub for half of what they paid. 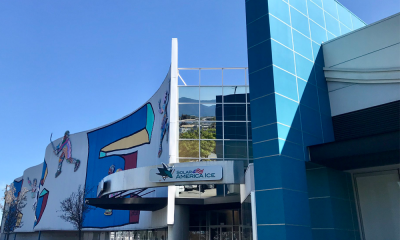 The day following the 25th anniversary gala, a letter was sent to season ticket holders about a new experience, Sharks365. This is obviously a step in the right direction and a mea culpa of sorts to attempt to win back season ticket holders that have felt unappreciated. For some, it may be a situation of too little, too late. It’s understandable that Plattner is concerned about attendance, but winning can have fans back quickly. Instead of giving away an alumni shirt or Sharkie bobble head, Plattner should consider giving the fans a new general manager.